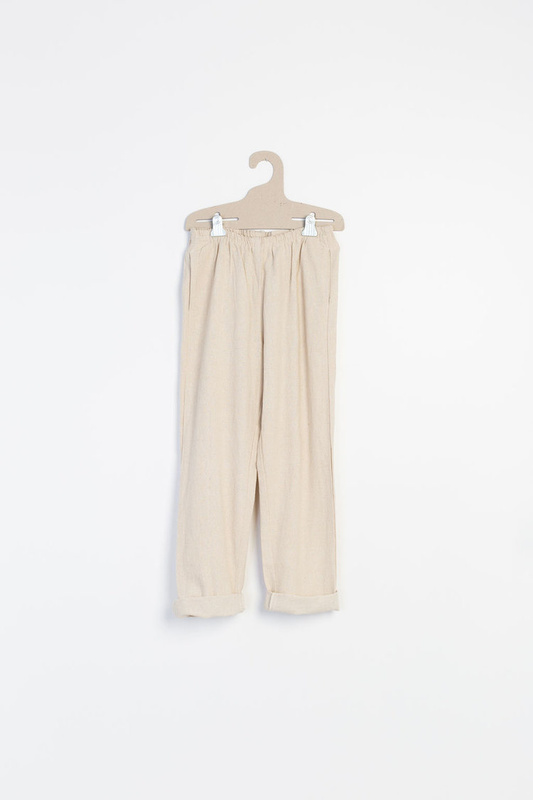 Comfortable elastic waisted pants crafted from thick and rustic handwoven cotton. Useful in both fit and color way, these pants are meant to be celebrated and worn often. Photos on the model demonstrate fit. She is wearing the Lounger Pants in Spotted.